TimeZone : German Brands » New shoes for an early Christmas present. 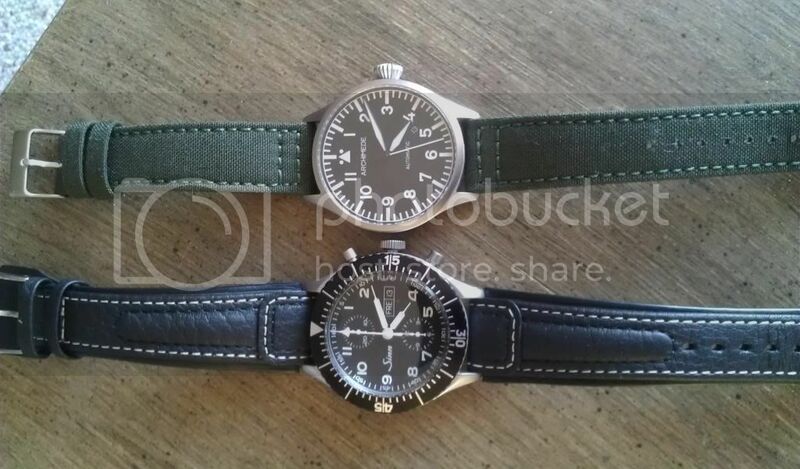 Chronissimo for the Sinn 155 and a green canvas for the Archimede. Both are nice straps, the Chronissimo is a little stiff new, but should be great once I get it broke in. Thanks for looking and Merry Christmas.